tl;dr: The front page of the physical Wall Street Journal may be a barometer for broader market sentiment about Bitcoin and crypto. One of the roles of a marketer is to observe and articulate the broader landscape in which a company or initiative operates. Timing is a critical component of market success. This is something I’ve learned this the hard way over my career. 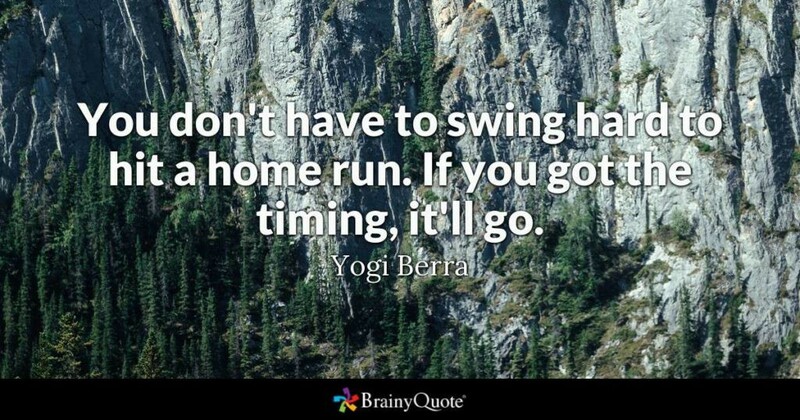 In baseball, .1 second can be the difference between an out and a home run. I’m not sure markets move that quickly, but the analogy works. The bottom line is that no market exists in a vacuum (duh). There are many forces at play that affect when timing is right to achieve product-market fit. The challenge is that there is no clear dashboard that says “yes, timing is perfect” anywhere. So, you have to build your own, look for clues, and then go from there. Keeping in mind that this could be wishful thinking because I do have some professional and financial skin in the game (book), let me share with you something that I informally call the Wall Street Journal-indexed Crypto Barometer. My family gets the physical Wall Street Journal every day. Almost every member of my family will read some part of it, which is great. The writing is fantastic and the broad range of topics helps with information discovery. The paper has two standard physical parts. The A section which is big global news, a feature story or two, 1 page of sports, and the Ed/Op-Ed section. The B section is business and finance. Back when I started getting into crypto, I would occasionally notice a Bitcoin related article in the way back (often times the last page) of the B section. Over the 1.5 years prior to the December 2017 mania, I noticed a few things. Feel free to go back and check. The articles about Bitcoin slowly began to creep from the back of the B section to the front of the B section. Then, it made the leap into the A section. Finally, in mid-December 2017, there was one day when there were THREE crypto-related articles on the front page of the A section on the same day. Of course, I didn’t translate that into the idea of “sell a bit more now” since I am a HODLer, but that is my problem, not yours. Since then, however, Bitcoin related articles have, for the most part, fallen away from the front page of the A section back into the B section. Occasionally, something makes it back into the A section, but nothing huge, unless it is a hit piece on ShapeShift. I think that may have been a weekend piece, but that’s a different algo altogether. Of course, I don’t know, but there are a few signs that I noticed. One macro sign was Jack Dorsey’s (CEO of Twitter) endorsement of Bitcoin and his efforts to hire Bitcoin/Lightning developers for Square. Jack Dorsey spends $10K a week on bitcoin, predicts a ‘massive’ bitcoin boom from CNBC. I think you were one of the first bitcoin/blockchain folks who asked me to let you know if/when I started buying. Well, as of Monday, I’ve added a little. I’m starting a regular biweekly buying program. My trigger was based on the technical chart vs. the dollar–looks like its bottomed, and I am getting all those counter trend indicators like heavy mass media coverage of how bitcoin is dead. I’m just nibbling–I don’t typically speculate in currency at all, just manage my dollar and yen positions against my debt and expenses. It could be confirmation bias, for sure, but the fact that both he and I noticed the “counter-trend indicators” was intriguing to me. I would be nervous calling this moment in time “the bottom of the bear market,” since timing is, as discussed, really challenging. For me, however, WSJ-inspired crypto-barometer has been fairly reliable until now. The Wall Street Journal Front Page and Crypto Market Sentiment was originally published in Data Driven Investor on Medium, where people are continuing the conversation by highlighting and responding to this story.